hen Honda’s long awaited Africa Twin was launched in a blaze of glory at the end of last year, expectations were high. 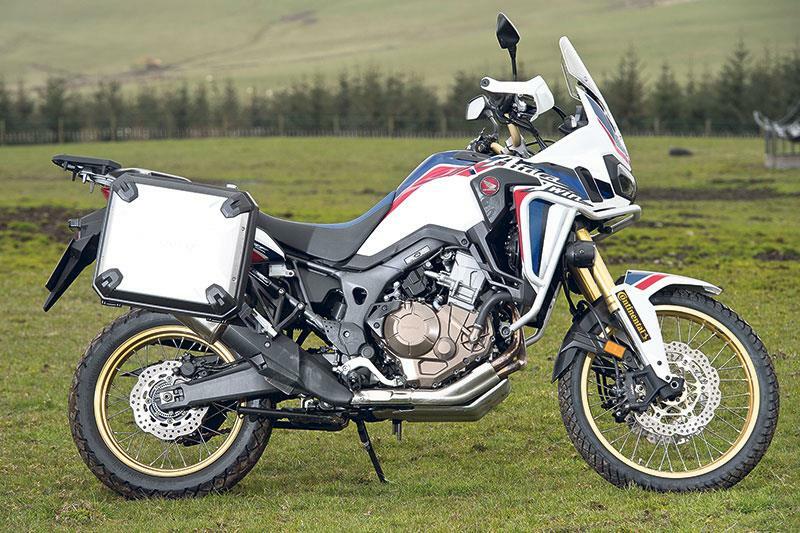 Could it really capture the same spirit of its predecessor and put Honda back on the map in the all-important adventure bike class? So far in 2016 it has been one of MCN’s most tested bikes, being lined up against its big, predominantly 1200cc adventure bike rivals on road and off, here in the UK and abroad. It has performed consistently well due to its overall design, superior off-road credentials and significantly cheaper price tag, but at 1000cc it has also been the odd one out in the tests – way down on power and out-gunned on the road, especially when loaded with luggage. While the Africa Twin certainly doesn’t look out of place lined up alongside its 1200cc rivals, in terms of horsepower and torque it most certainly is. 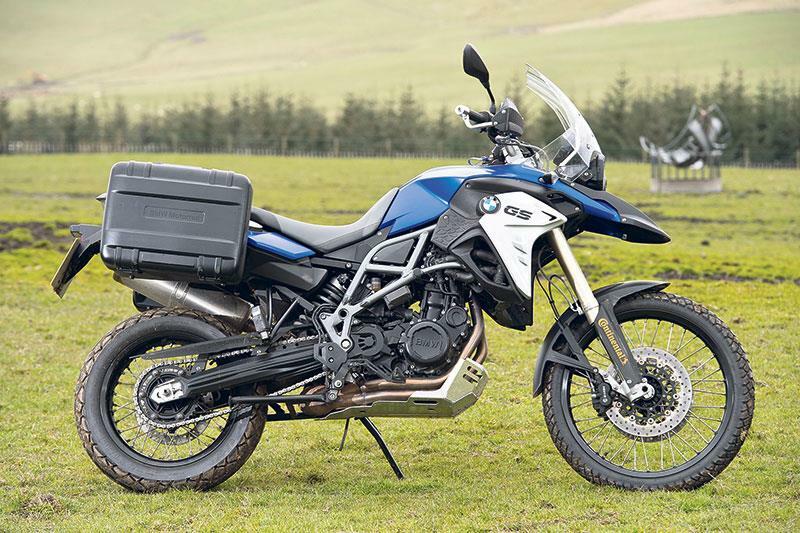 So much so, that it’s arguably a better fit in the 800cc adventure bike category. 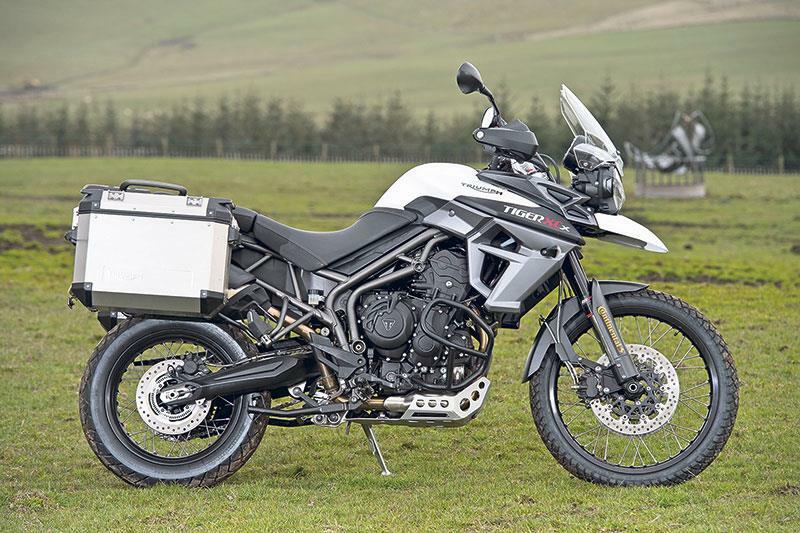 So to find out exactly where it sits we pitched the Africa Twin against the BMW F800GS and a Triumph Tiger 800 XCX in a 900-mile round trip to Fort William in Scotland. With the aim of doing big miles, in addition to some serious off road riding, I managed to draft in two of my recent BMW GS Trophy team-mates, James Berrill and Oliver Twigg, who finished second overall out of 19 countries in the GS Trophy held in Thailand earlier this year. With our first meaningful riding starting from Sheffield, local man Oliver, who was leading the way, had an early surprise in store for us. Expecting to be heading straight for the motorway for a few hours of mile crunching to get to our first overnight stop at Moffatt, Oliver threw us a curve ball. Within minutes of setting off we found ourselves bouncing down a green lane at speed. It may have only been a couple of miles long, but it certainly got our attention. Our mini adventure had begun. Just 150 miles in and with the first tank of fuel drained, it was time for a fill-up and a chance to get initial impressions, and straight away the Honda scored highly. The verdict is unanimous: stable, planted, plush suspension and good wind protection. Put simply, it’s a nice place to be with a functional, yet aesthetically pleasing, dash, good ergonomics and riding position. Compared to the Honda, both the BMW and Triumph feel significantly smaller and, as a result, have less presence. A big factor in this is the front end fairing and screen set-up. While the Honda has an expansive cockpit more akin to its 1200cc rivals, the other two bikes’ are minimal, giving a feeling of light weight, even though they do offer the same level of weather and wind protection. Fitted with loaded panniers, both the BMW and Triumph suffered from high speed stability issues, especially when catching dirty air from trucks, cars and even the bike in front. Having crossed into Scotland and refreshed from our stop in Moffatt, day two was all about off-road. Heading to Tinto Park Moto (www.tintomoto.com) – a vast off-road facility with multiple motocross circuits and endless opportunities for off-piste riding – our day on the dirt began. Due to heavy overnight rain and using dual purpose Continental TKC70 tyres the available grip was minimal but we still were able to push the bikes hard. Although the extra weight of the Africa Twin was immediately noticeable, it’s superior riding position, linear power and good throttle connection saw it perform well. 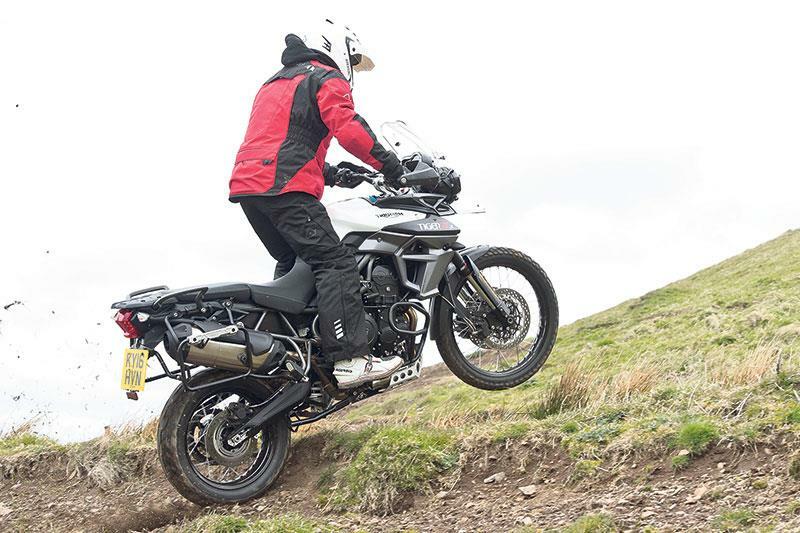 With all the bikes running 21in front wheels they are capable off-roadsters, with the extra diameter and narrower tyre profile far better at negotiating bumps and tracking the desired line. The BMW is an easy going and compliant bike off road – power delivery is smooth yet purposeful – but it does have the tendency to stall at slow speed. 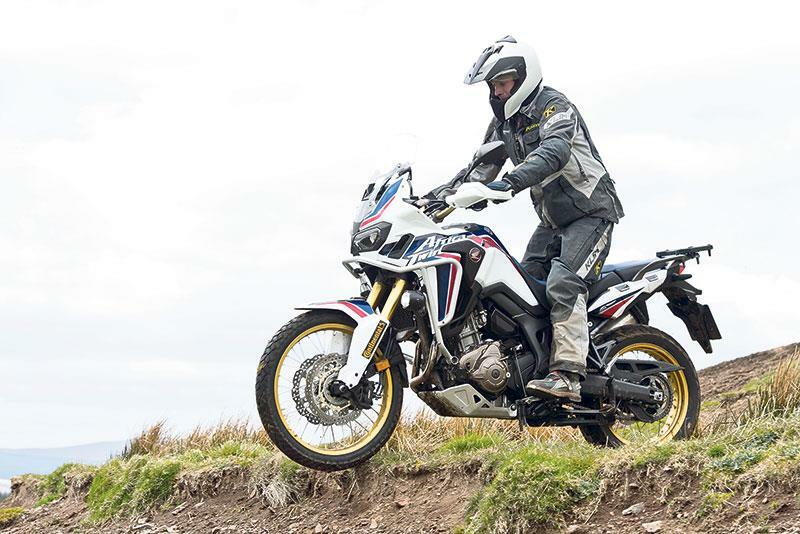 Chassis-wise it feels subdued, with the soft suspension giving a feeling of vagueness, but it was still able to do everything the Africa Twin was doing – except for the big jumps. 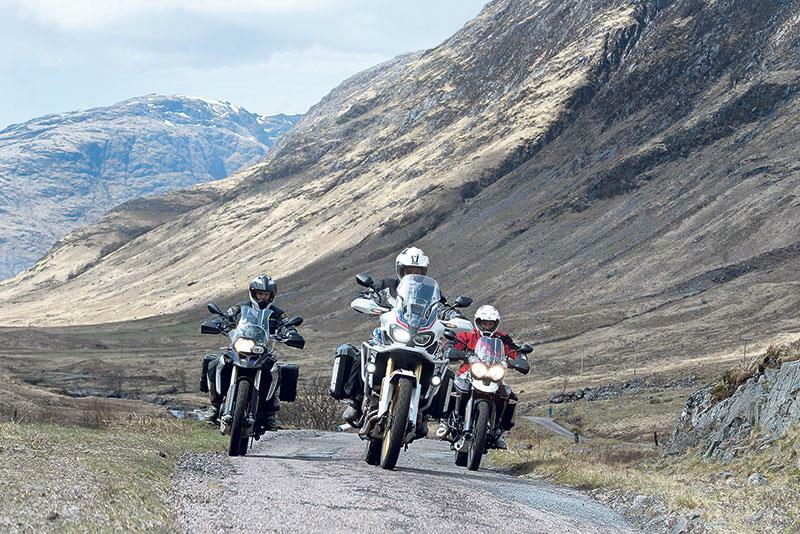 It’s the Triumph that feels the most out of its comfort zone off-road. Its engaging three-cylinder engine is a pleasure to use on tarmac but revs too quickly off-road, which in turn makes it hard to find grip. Chassis-wise it feels like a road bike being ridden on the dirt. The riding position makes it hard to get your weight forward but, like the GS, it was still capable of doing everything the Honda did and could easily handle a day riding fire tracks. Leaving the off-road riding behind we headed north – destination Fort William, where our arrival happily coincided with day three of the world famous Scottish Six Day trial. On fast, flowing A and B roads, all three of these bikes deliver. The Triumph quickly moves back into its comfort zone and becomes a fun and capable middleweight. Fast progress requires frequent gear changes, but the power is sharp and the fuelling is good. 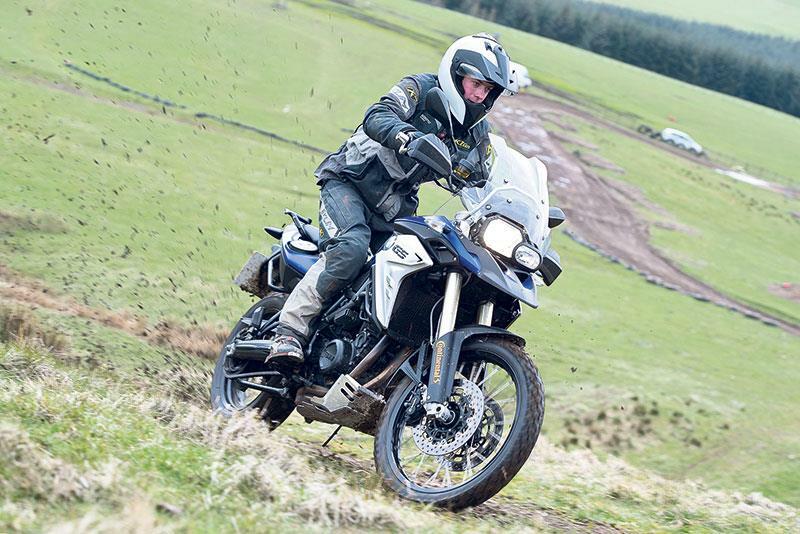 The riding position that feels awkward off-road now works well on road and the handling is planted, as long as speeds don’t climb too high and begin to upset those panniers. While the GS is the oldest and least powerful bike on the test, it punches above its weight due to its impressive engine characteristics. As happy to cruise at low revs as it is to rev hard, the BMW’s motor has the most urgency, especially in top-gear roll-ons and overtakes. It’s comfortable, too, and planted and can easily be hustled when urge takes you. With an extra 200cc, expectation was that the Africa Twin would be a step above in the power stakes, but in reality it’s not – either on paper or in the real world of riding. The power it does have is smooth and linear, but like the Triumph it needs to be revved hard and lacks the bottom end punch you’d expect from a 1000cc power plant. Chassis-wise it’s supremely stable and planted, holds a line well and soaks up bumps without fuss. 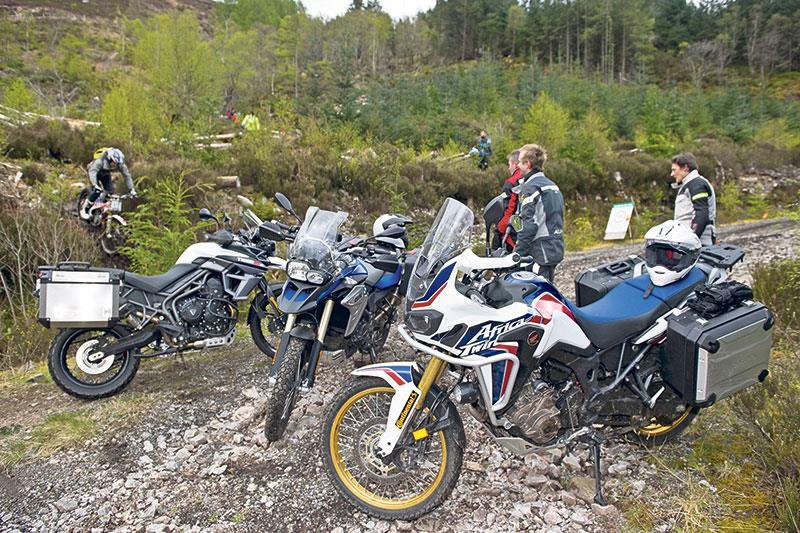 To ensure a level playing field in this test, each bike was fitted with Continental TKC70 tyres. Aimed at being a good compromise between long distance road mileage and off-road capabilities, they performed well in each discipline. The blocky tread pattern – especially on the front – takes some getting used to on turn in and under braking, but once you understand that the ultimate grip is good, you can ride with a reasonable amount of confidence. Solid off-road performance is combined with great grip and feedback on wet roads. Whether you’re riding on the motorway, off-road or on the twisties, the Africa Twin is the winner. But given that it is up against two smaller 800s – one of which is eight years old, its victory was expected. What surprised me was that its winning margin wasn’t greater. Before the test I expected it to whitewash the competition, and while it was the clear winner when it came to covering high speed motorway miles and it was the most capable off-road, it’s real world on-road performance was only marginally better than the BMW.